The Church History Library collects materials by or about The Church of Jesus Christ of Latter-day Saints and its members. These materials come from a wide spectrum of sources and represent numerous points of view. Users of the catalog should not assume that the Church or the Library endorses every item in the collection. We noticed you haven't signed in. In order to take advantage of all the catalog features, please sign in. Files kept in Young's office by himself or his clerks during the period he served as president of the Quorum of Twelve (1844-1847) and President of the Church (1847-1877), including files accumulated during his tenure as governor of Utah Territory and ex officio territorial Superintendent of Indian Affairs (1851-1858). Besides documents relating to Young's church and governmental activities, these files also include records relating to his personal and family affairs and business activities. Young's files include letterpress copybooks and other retained copies of outgoing letters, general epistles to members of the Church, incoming letters and telegrams, personal and office journals, minutes, texts of speeches, petitions, legal documents, reports, claims, visitors' registers, financial records and other business records, etc. 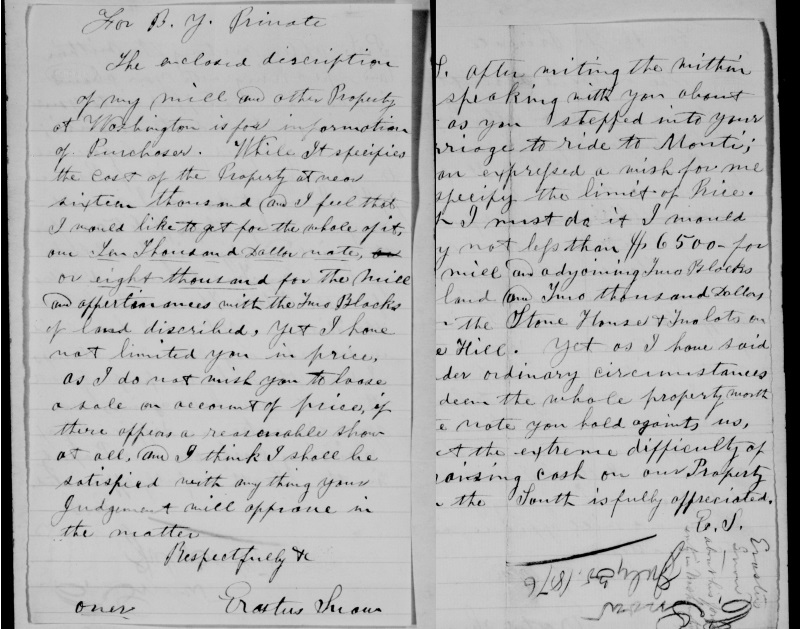 Materials in Young's files document not only general church activities but also local church, community, and individual activities during the Nauvoo, Iowa, and Utah eras of the Church's history, including the overland migration from Iowa to Utah, the emigration of LDS converts from Europe, relations with federal and local governments, relations with Native Americans, ecclesiastical court matters, and issues relating to church ordinances such as marriage and divorce. 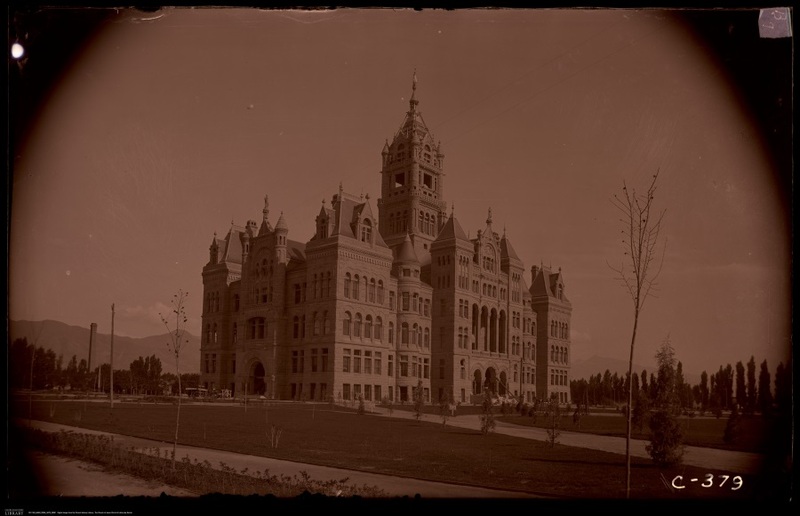 Contains portraits of prominent individuals and other Salt Lake City and Utah residents; photographs of activities, buildings, and homes in Salt Lake City; and photographs of Temple Square, Great Salt Lake and its resorts, Fort Douglas, several Utah communities, and railroads. Also includes portraits of Chinese and Indians and photographs of drawings, paintings, lithographs, cartoons, and photographs taken by photographers other than Carter. Interior views of Salt Lake Temple, formerly numbered 901-904 in this collection, have been determined to be C.R. Savage Co. views and are now part of PH 600. Items 905-934 have not been renumbered. 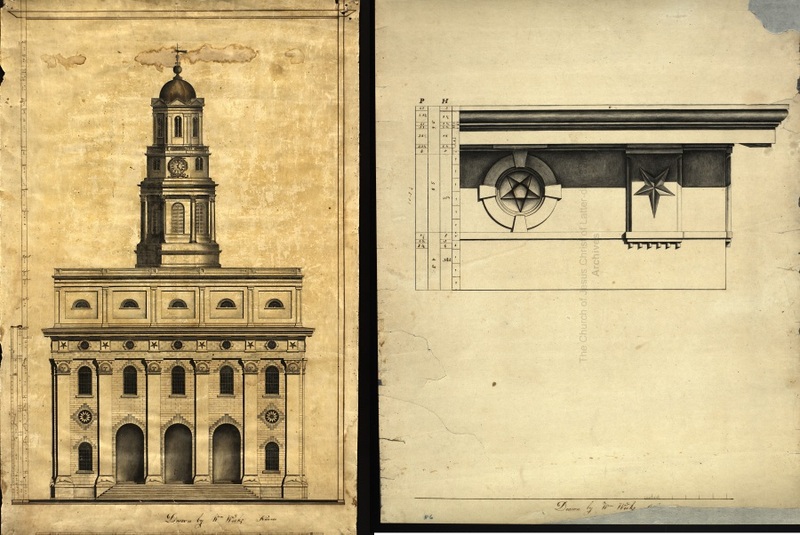 Preliminary drawings for temple and other structures in Nauvoo, Illinois, by Church architect, William Weeks.